The semiautomatic machine is intended for grinding of external helical surfaces on parts with profile grinding with the use of cutting fluid. The CNC SINUMERIK 840D CNC device (Germany) complete with digital drives of the coordinate axes ensures high-quality machine control and its reliable, smooth operation.The technological capabilities of the machine depending on the quality and processing performance, allows grinding multiple grinding wheel. 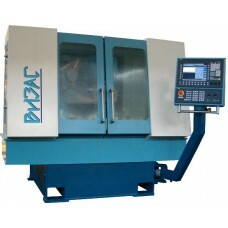 Grinding of the surfaces on the machine is carried out by the control program. The required additional system of preparation of control programs for grinding helical surfaces on the machine must be ordered separately. As drives on the machine applied linear synchronous motors, synchronous motors, synchronous circular (torus) motor, backlash-free ballscrew drives. Axis is along closed preload guideways and integrated measuring systems direct reading. 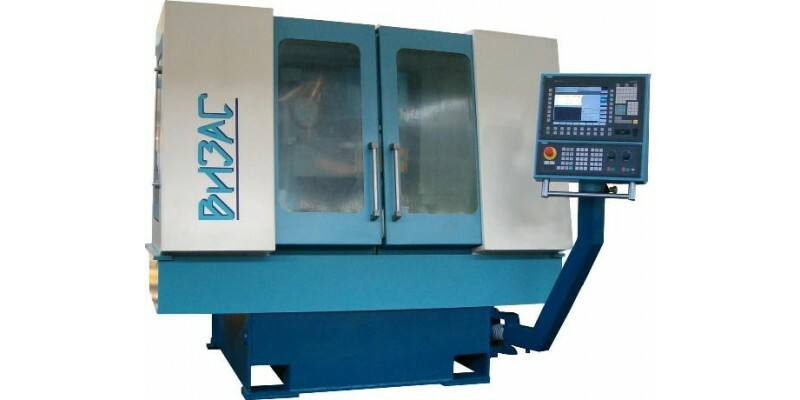 This equipment is also equipped with a system of orientation that binds the workpiece (angular and axial) to the machine coordinate system and allows to evaluate the quality of the workpiece, stepping on the ground and quality of the finished part.